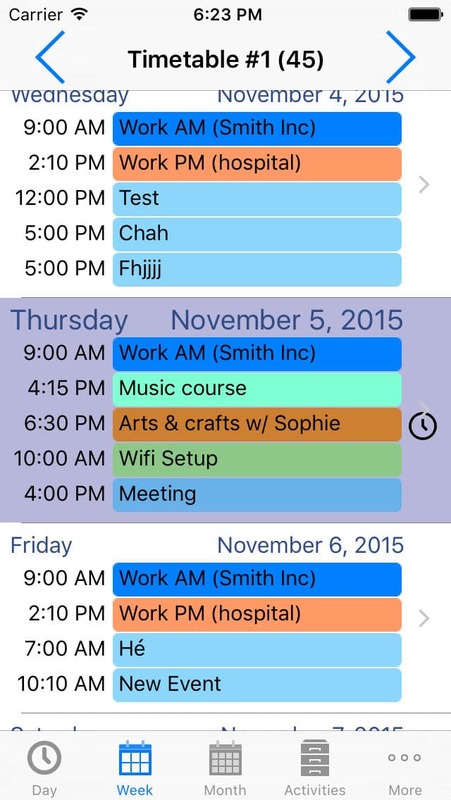 With TimeTable, easily create your schedules for the days, weeks and months to come. Simply define your activities and tasks, whether recurring or not, and effortlessly visualize an overview or detailed view of your weekly schedule. Associate colors to your activities in order to quickly identify them. 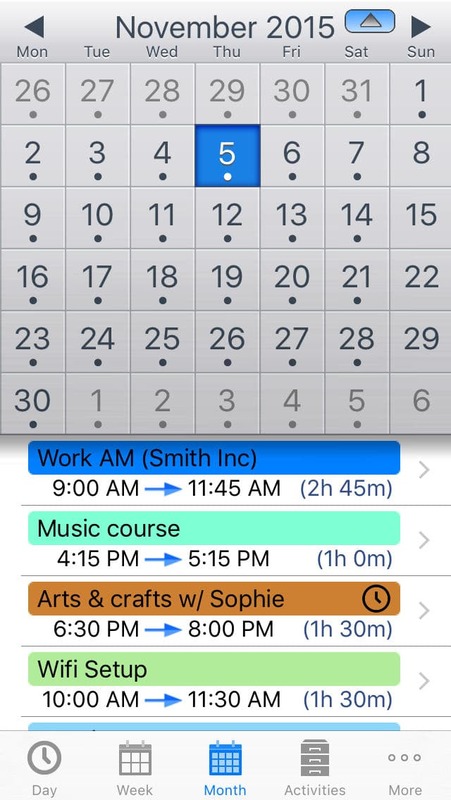 TimeTable enables you to manage several different schedules (your own schedule, that of your family, that of your colleagues, etc.) 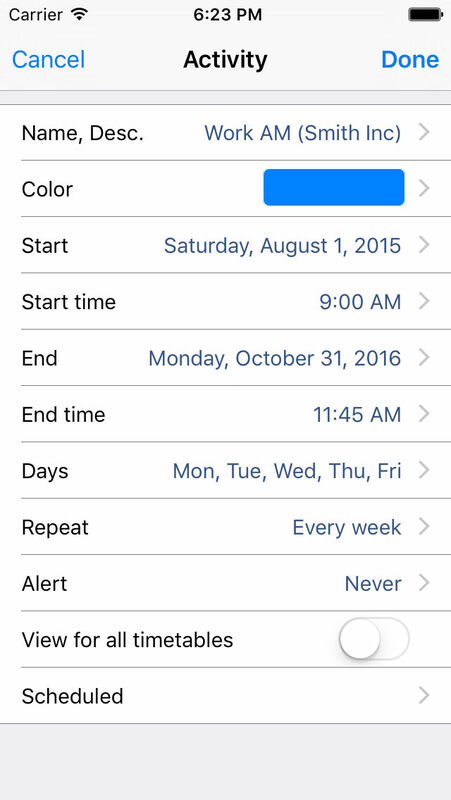 and is automatically synchronized with your iPhone or iPad calendar. The daily, weekly or monthly views allow you to have a complete and precise vision of your activities, and to modify time frames if necessary by a simple drag and drop. Should you need to, you can also associate various local notifications or alerts to any activity in order to be automatically reminded before they start (the notification time can be defined for each activity independently). 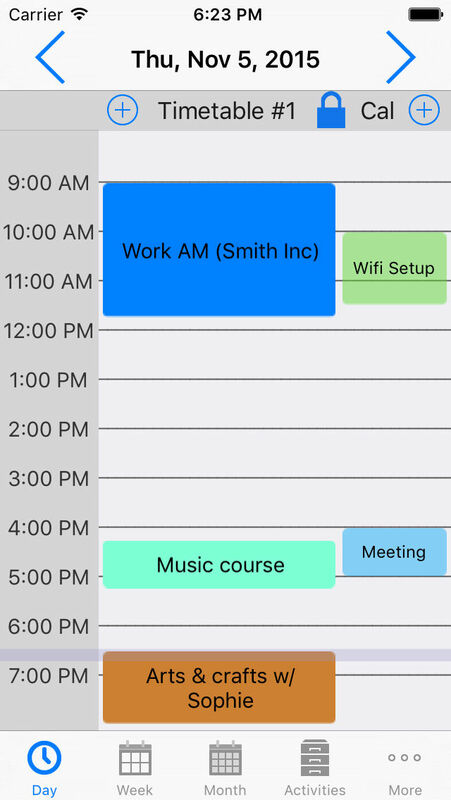 TimeTable is particularly suited to people who need to manage repetitive or complex schedules, but can also be of use for people with frequently-changing schedules (shift work, staggered working hours, etc.). 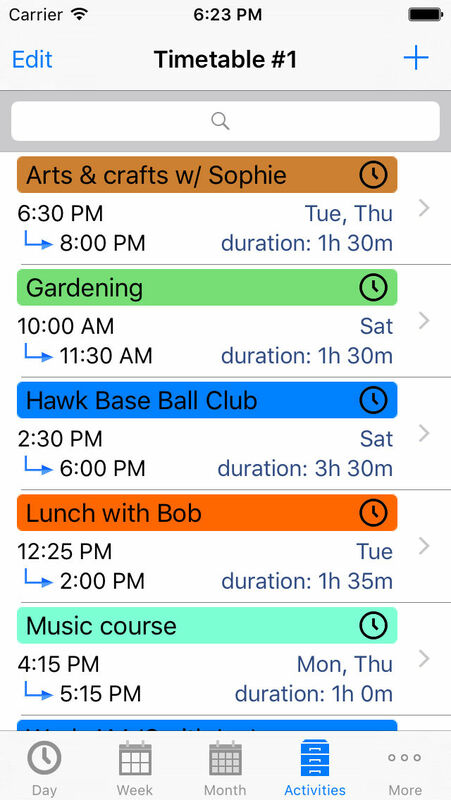 Easily share your schedules on various devices (iPhone, iPad): TimeTable’s built-in import/export features allow you to copy and transfer your data from one device to another. Generate your schedules as PDF files, print them with Airprint or send them by e-mail.